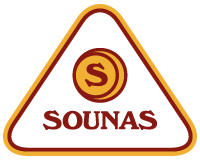 We will automatically double your order once purchased. 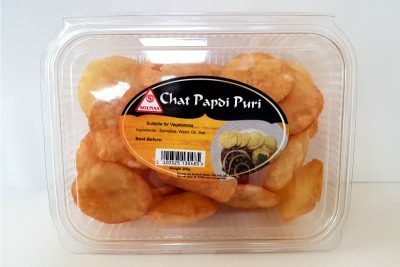 Traditional Indian thin crisp disk shaped crackers usually served with condiments, pickles and chutneys. 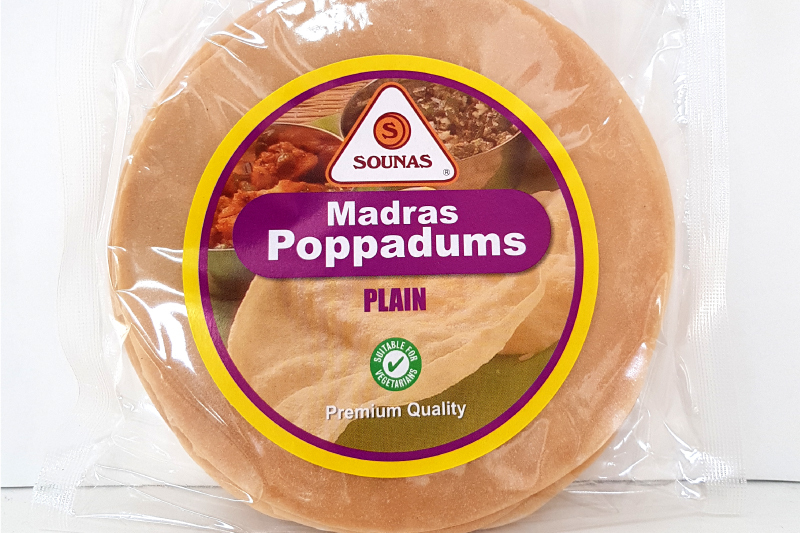 Sounas Madras Poppadums are ready in under a minute, they can be roasted on a hotplate or in a microwave, grilled or deepfried before serving. 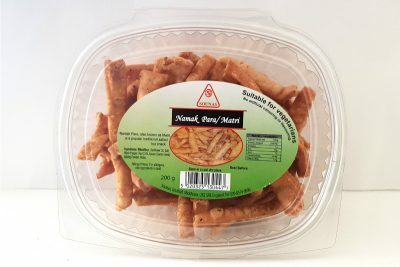 Lentil Flour (70%), Rice Flour (10%), salt, Sodium Bicarbonate, Palm Oil, Asafoetida. 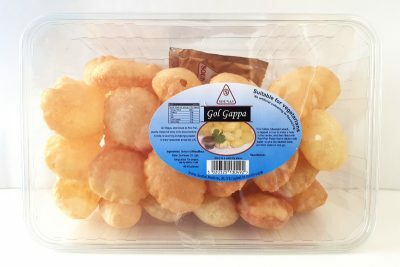 Contains Rapeseed & Mustard Made in a factory where Nuts, Mustard Seed, Sesame Seed, Milk Powder are used.